This is a list of known plants that I have found in the wild. I compiled this list from plants that I suspected medicinal or with other properties for everyone to have. The way I have compiled this list is simple really. Every time I would journey into field or woods, I would notice plants that have odd characteristics. In some cases they resembled other plants I already knew about. My first Discovery A vine in the Morning Glory Family. This vine is what I believe to be Ipomoea coccinea L aka The Little Red Morning Glory. After all my research I found that there is little information about this plant online. I will describe this plant in the best way that I can. I found it growing strong on on A gate. It was just climbing up and the first thing i noticed was, Its a vine and It has morning glory shaped leaves. So I quickly took A Cutting And left to put it in water with a fish tank bubbler. After about one week this vine started rooting from the bottom of the vine where I took the cut. I placed it in a pot and added moist soil. After another week or so i noticed it was growing new small vines out of the old nods. Once these vines establish there roots well into the soil. They will shortly start growing rapidly. These little vines grow fast. I had it in my window seal and in one day the smaller vines grow 1 inch. I have looked all over the net for information about this vine. A few sites suggested that the seeds contained LSA. This doesn’t mean its safe to assume for sure. There needs to be some test made first to confirm this idea as a fact. Here is some of the information I found that may help to identify this vine. Stems – Vining, twining, twisting, herbaceous, glabrous to sparsely pubescent at the nodes, to 3m long, angled. Leaves – Alternate, petiolate. Petioles to +6cm long, glabrous to sparsely pubescent, with an adaxial groove. 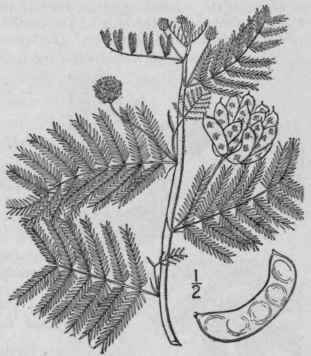 Blades cordate, ovate, acute to acuminate, entire to coarsely toothed, to 10cm long, 6cm broad, typically glabrous but with papillose hairs near the base by the petiole. Flowering – July – October. Habitat – Low, moist ground, stream banks, thickets, waste ground, disturbed sites, railroads, roadsides. Origin – Native to tropical America. amounts of DMT, than its relative D.illinoensis. The bark from the roots need to be stripped off immediately after you pull up the roots. Because once the roots are dry the bark is very difficult to strip. You can find these small mimosa around roadsides that have some shade. If you think about this its kinda funny, because i found this plant about 5 minutes after I spotted the red morning glory just a bit further down the road. So this plant should be useful to anyone making an Ayahuasca brew. Although I do not recommend that because I do not have any information on how safe that can be. Only use plants you know that work. I am just giving the suggestion that this could be A very good source for the DMT used in these types of brews. Ololiuqui is the name the Aztecs called the seeds, meaning little round things. Ololiuqui is not the name of the plant. Although some stores advertise this plant by that name. These seeds are the most common hallucinogen drug used by these natives of Mexico. These plants are said to grow all over Texas, According to USDA. I personally have yet to find this plant in the wild, but the search is still on. I will keep you posted on everything i come into account with. 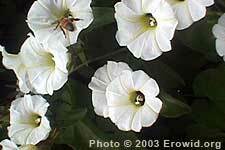 The Ultimate Morning Glory Perennial Plant. Ipomoea carnea is actively potent. There has been many counts where they refer to this plant as one of the loco weeds, Because the cattle and animals that would ingest this plant would become sleepy. I have many more plants that I will be listing soon.